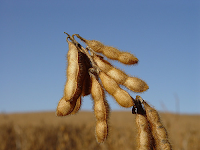 21/04/11 -- Soybeans: May 11 soybeans closed at USD13.80 1/2, up 22 3/4 cents; Nov 11 soybeans closed at USD13.82 1/2, up 16 1/2 cents; May 11 soybean meal closed at USD358.80, up USD9.60; May 11 soybean oil closed at 58.27, up 13 points. May beans were up 48 3/4c on the week, with meal up USD13.60 and oil rising 143 points. Outside markets offered support, with a shaky dollar, firm crude oil, gold at record highs and a strong stock market. Soybean export sales were also above expectations at 555,300 MT, with no cancellations from China, but instead purchases of both old and new crop. Chicago markets are closed Friday but open as normal on Monday. Corn: May 11 corn closed at USD7.37 1/4, up 4 1/2 cents; Dec 11 corn closed at USD6.65 1/2, up 10 cents. Corn opened higher, but drifted into negative territory mid-session before clawing its way back later in the day. May corn lost 4 3/4c on the week whilst Dec rose 9 1/2c. Export sales were in line with expectations at 613,400 MT old crop and 243,900 MT new crop. Outside markets were supportive, and so too were ideas that another wet and cold week across much of the corn belt will have done little to help farmers advance corn plantings much from last week's pace of 7%. A year ago 50% of the crop was planted as of April 25th. Wheat: May 11 CBOT wheat closed at USD7.99 1/2, up 14 1/2 cents; May 11 KCBT wheat closed at USD9.32 1/2, up 12 1/2 cents; May 11 MGEX wheat closed at USD9.51 1/2, up 12 3/4 cents. Chicago wheat was up 55 1/4c on the week, with Kansas rising 67c and Minneapolis up 62 1/2c. Export sales were below trade estimates of 400 to 800 thousand MT at 134,800 MT old crop and 168,400 MT of new crop. The weak dollar was supportive along with spring planting delays in the top US producing state of North Dakota, where things are running around 3 weeks behind schedule. 21/04/11 -- EU grains closed mostly lower with May London wheat down GBP7.50/tonne to GBP210.00/tonne and with new crop Nov down GBP0.85/tonne to GBP177.40/tonne. May Paris wheat fell EUR1.50/tonne to EUR252.25/tonne and Nov was unchanged at EUR224.75/tonne. May London wheat closed around the middle of a wide daily trading range of GBP207.00-213.50, with the May/Nov spread narrowing to GBP32.60/tonne. Over the course of a 4-day week May London wheat rose GBP3.00/tonne and Nov climbed GBP12.90/tonne with the May premium over Nov declining by almost GBP10.00/tonne. May Paris wheat rose EUR14.00/tonne and Nov was EUR16.75/tonne higher. 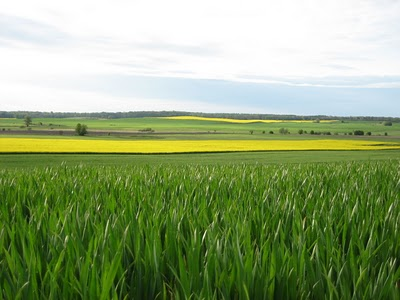 Lack of rain remains the problem, and although in the UK crops are currently showing little obvious sign of stress without some decent precipitation they won't be taking in recently applied nitrogen. The pound and euro both rose to 16-month highs against a weak US dollar, reducing their competitive edge against American wheat. Brussels confirmed that it had issued soft wheat export licences for 281,000 MT this past week, that's an increase of 42% on last week, but still the second lowest weekly total out of the past six. Year to date exports are now running at 16.2 MMT, up 12.5% on a year ago. 21/04/11 -- The overnight grains closed with wheat around 4-5c higher and corn & soybeans up 5-7c. 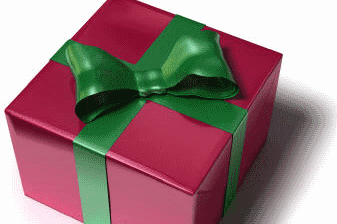 Outside markets are supportive with crude and gold higher and the dollar weaker. It's a three day weekend in Chicago, with the markets re-opening Sunday night whilst the rest of us get a deserved extra day off. Liffe/Euronext is closed both Friday and Monday. Whilst early calls are higher, there could be some pre-weekend book-squaring. Corn put in a sad performance yesterday and whilst much of the latest impetus has come from delayed US spring plantings, given that the forecasts have just turned slightly more beneficial in the last 24 hours, we may see some weakness re-emerge again this afternoon if long-holders decide to trim their positions further as forecasts could be very different by Monday. Weekly export sales were strong again for corn, although they were expected to be so at a combined 857,300 MT. Soybean sales were above expectations at 555,300 MT, whilst wheat sales were below trade ideas at 303,200 MT. 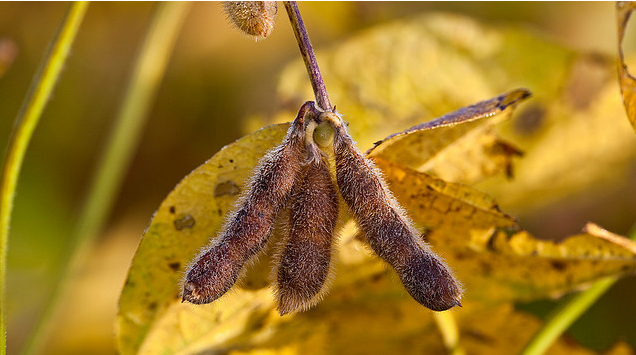 There were no Chinese cancellations of US soybeans, indeed they booked 176,500 MT of old crop and 165,000 MT of new crop. Still, reports suggest that they have been cancelling/deferring South American purchases. For wheat, US, EU and Russian crop problems haven't gone away, although noises coming out of Ukraine suggest that confidence in a decent crop there in 2011 is running pretty high. 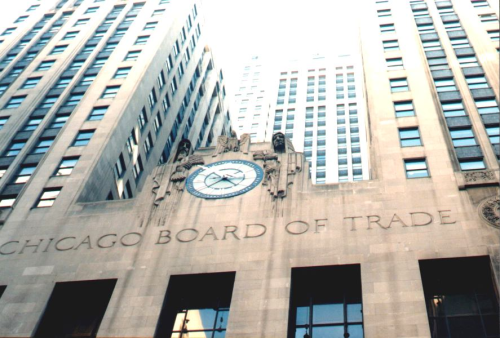 Early calls for this afternoon's CBOT session: corn and beans 5-7c higher, wheat up 3-5c. Corn sales of 613,400 MT old crop and 243,900 MT were in line with expectations for total sales of 800,000 MT to 1.1 MMT. Just for the record, there was no sign of China. Shipments were strong at 935,300 MT. Wheat sales were below trade estimates of 400 to 800 thousand MT at 134,800 MT old crop and 168,400 MT of new crop. Shipments were strong at 862,000 MT. Soybean export sales were well above trade estimates of 200 to 400 thousand MT at 349,000 MT old crop and 206,300 MT new crop. China took 176,500 MT of the old crop and 165,000 MT of the new crop. There were no US bean cancellations by China. Shipments slacked off a little at 443,000 MT. 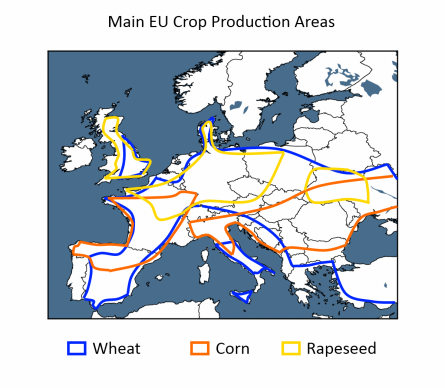 21/04/11 -- Latest guide prices for EU rapemeal. 21/04/11 -- The overnight grains are mixed, mostly a little higher. The dollar is particularly weak, with the pound closing in on the 1.65 mark, a level not breached since December 2009. The Chinese yuan has hit an all-time high against the dollar overnight. Further dollar depreciation looks on the cards as the Democrats and Republicans continue to fight and squabble over budget cuts and the House/Senate split makes getting any legislation passed at all a struggle. That was clearly a contributory factor behind Monday's surprise ratings downgrade for the US from S&P. "More than two years after the beginning of the recent crisis, US policy makers have still not agreed on how to reverse recent fiscal deterioration or address longer-term fiscal pressures," said S&P credit analyst Nikola Swann. China's soybean imports seem to be waning, March shipments were 3.51 MMT, down 12% on March 2010. They've also been cancelling South American cargoes this week, with reports of 6-8 purchases for Jun/Jul delivery getting scrubbed. Some reports now suggest that soybean imports will be around 53 MMT this year, 4 MMT below the USDA's current estimate and 7 MMT less than some private estimates. At the same time South American soybean production estimates are creeping higher, with the Argy Ag Ministry yesterday raising theirs from 50.0 MMT to 50.4 MMT, 0.9 MMT higher than the current USDA number. 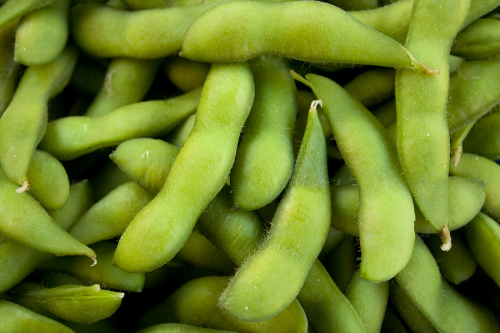 20/04/11 -- Soybeans: May 11 soybeans closed at USD13.57 3/4, up 15 3/4 cents; Nov 11 soybeans closed at USD13.66, up 12 cents; May 11 soybean meal closed at USD349.20, up USD2.80; May 11 soybean oil closed at 58.14, up 61 points. A weak dollar and firm cash market got beans off to an early doors flyer, although they slipped back later in the session to close around midway on the days trading range. Will China's efforts to curb inflation also quell demand for commodities like soybeans? Some seem to think so. Brazil's harvest is around 85% complete, with progress in Argentina now at 54%. Tomorrow's weekly export sales will be interesting, with estimates ranging 200 to 400 thousand MT. Corn: May 11 corn closed at USD7.32 3/4, down 16 1/4 cents; Dec 11 corn closed at USD6.55 1/2, down 20 1/2 cents. Corn started higher, but reversed to finish with some fairly hefty declines after weekly ethanol data showed corn usage falling for the fourth week in a row. A drier outlook for the corn belt also had some negative impact even though tomorrow's weekly export sales are again expected to be robust at around 800,000 MT to 1.1 MMT. Funds sold an estimated 14,000 contracts, seemingly keen to reduce some length ahead of the coming long weekend. Wheat: May 11 CBOT wheat closed at USD7.85, down 3/4 cent; May 11 KCBT wheat closed at USD9.20, down 6 cents; May 11 MGEX wheat closed at USD9.38 3/4, down 4 1/4 cents. Wheat opened higher but got dragged lower by falling corn later in the session. Profit-taking ahead of the long weekend may also have been a feature for wheat. Crop conditions remain amongst the poorest of recent years. in fact Monday night's crop ratings was the worst condition report since 2002 - a very poor production year. Export sales estimates for tomorrow range from 400 to 800 thousand MT. 20/04/11 -- May London wheat closed GBP0.50/tonne higher at GBP217.50/tonne with new crop Nov up GBP4.15 to GBP178.25/tonne. May Paris wheat rose EUR2.50/tonne at EUR253.75/tonne whilst Nov was EUR1.25/tonne higher to EUR224.75/tonne. It was another warm and dry day across almost all of Europe, with concerns continuing to mount, particularly for spring grains and crops on lighter land. 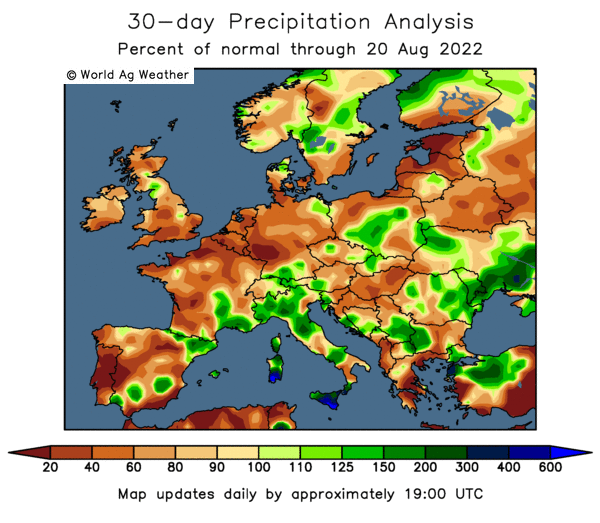 "A dry blocking pattern exists across Europe, allowing dry continental air to flow out of Russia into Europe, with little in the way of significant rains expected for at least the next ten days for Germany, Poland and Western Russia, according to QT Weather. "The remainder of this week will remain dry from the eastern British Isles, south-eastwards to Belarus and the Ukraine. 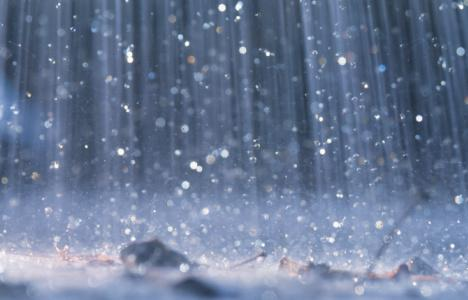 France will receive some rain with the heaviest in the South," they add. This was another record closing high for a front month for London wheat, although the position closed well off the intra-day all-time high of GBP222.00/tonne. Customs data reveals that the UK exported 119,000 MT of wheat in February, bringing total year to date exports to 2.2 MMT. That places exports at more than 50% above year ago levels with a quarter of the season still to go. 19/04/11 -- May London wheat closed GBP4.50/tonne higher at GBP217.00/tonne with new crop Nov up GBP3.35 to GBP174.10/tonne. May Paris wheat was up EUR5.25/tonne at EUR251.25/tonne whilst Nov was EUR6.50/tonne higher to EUR223.50/tonne. This was another highest close ever for a front month in London, the second in a row. Unseasonably warm and dry weather is what is getting the market all hot under the collar today, although it has to be said that driving round the north of England today things are looking more like a green and pleasant land than a disaster zone. Things are reported to be worse in northern France and Germany however. German analysts DRV today dropped their 2011 wheat production estimate to 24.58 MMT even so that's more than a million tonnes up on last year. It also dropped it's barley forecast to 8.9 MMT (9.8 MMT in 2010) and it's rapeseed estimate to 5.2 MMT (5.1 MMT last year). The market was in catch-up mode following sharp gains in US wheat futures overnight and again this morning. Some unsubstantiated reports suggest that new crop UK feed wheat may have been sold to the US in the past day or two. With US corn prices also posting record highs and stocks dwindling, it's possible, although the levels being mooted are around GBP10.00/tonne below replacement on the current market. The USDA left the proportion of the US winter wheat crop rated good/excellent unchanged last night, they did however increase the proportion of the crop rated poor/very poor by two percentage points. Whilst US corn sowing are lagging, and spring wheat planting set back by cold, floods and snow further north, Russian spring grain seedings are also running at more than 50% behind year ago levels. 19/04/11 -- I'm hitting the road today so there won't be any more exciting stuff going on here for the rest of the day, so you can all just clear off. Yes YOU. I know who you are you know. And how many legs has that horse got? 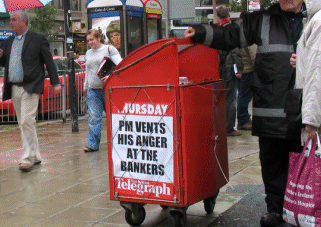 19/04/11 -- Supermarket dictatorship and everybody's friend Tesco have today unveiled record GBP3.8 billion profits. Which is nice, isn't it? I make that GBP7,230 every second of every day 24/7 for a whole year. 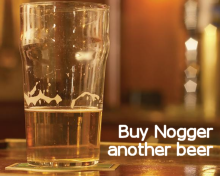 They would like to pass some of that down the line, they really would, but it wouldn't really be fair to the consumer in these difficult times would it? So they're just going to keep it instead. It's for the best. Whilst the UK market is stagnant, growth came from spreading their wings further afield internationally, they said. 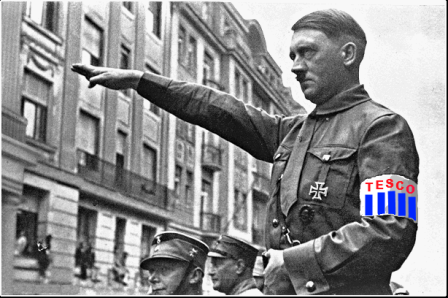 Which funnily enough was how Hitler got going wasn't it? 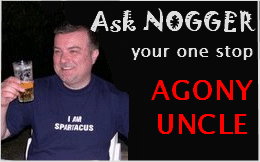 Q: Dear Nogger, I work for a very large Lincs-based grain merchant and therefore think I know everything, even though I haven't started shaving yet. Have you ever kissed a girl, and if so what is it like? 18/04/11 -- Soybeans: May soybeans were up 12 1/2c to USD13.44 1/4; Nov 11 Soybeans closed at USD13.49 1/4, up 9 1/2 cents. Beans rose on spillover support from wheat despite a sharply lower stock market after Standard & Poor's cut their ratings outlook on the US from stable to negative. Brazil's harvest is heading into the home stretch, and Argentina's is now more than a third complete. Beans look overvalued as Rabobank say that China will only import 53 MMT of soybeans this year, 4 MMT less than the USDA's latest estimate. Wheat planting delays in the northern Plains may also lead to increased soybean acres getting planted. Corn: May corn ended up 9 3/4c at USD7.51 3/4; Dec corn was up 12 1/4c at USD6.68 1/4. Rain, snow and freezing temperatures are hardly getting US corn plantings off to a flyer. After the close the USDA reported only 7% of the US corn crop was in the ground as of Sunday. Progress is very slow in the north. 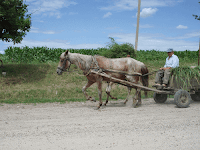 "The Midwest weather has deteriorated badly, turning cold and wet, pointing to corn planting delays. Normally seeding begins around April 20, picking up momentum late in April and early May. Wet field conditions have worsened on the weekend with bouts of rain and snow showers. Temperatures are sharply colder in the northern areas, dropping soil temperatures below the 50 F threshold for germination," say Martell Crop Projections. Wheat: CBOT May wheat rose 30 3/4c to USD7.75 a bushel; KCBT May gained 30 1/2c to USD8.96; MGEX May jumped 25c to USD9.14. Wheat gained on drought in Kansas and the southern Plains, too much moisture and freezing temperatures further north and concerns over dryness in Europe. The USDA pegged 36% of the US winter wheat crop in good/excellent condition after the close, unchanged from a week ago but well below the 69% reported a year ago. Strong weekly export inspections of 35.7 million bushels added support, as too did Russia dismissing talk of an early return to the grain export market. 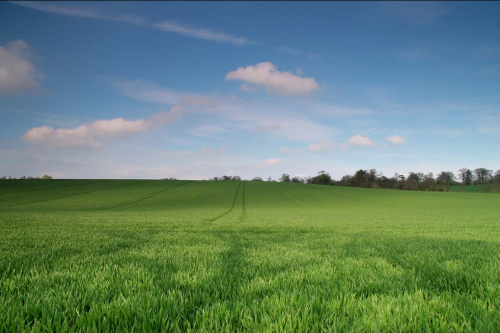 18/04/11 -- EU grains closed higher across the board with May London wheat up GBP5.50/tonne to GBP212.50/tonne and with new crop Nov rising GBP6.25/tonne to GBP170.75/tonne. May Paris wheat rose EUR7.75/tonne to EUR246.00/tonne and Nov was EUR9.00/tonne higher to EUR217.00/tonne. Tonight's close was a new record high for a front month for London wheat, and also say the May contract get within GBP1.50/tonne of the lifetime contract high. A warm and dry weekend, with a forecast for more of the same for the remainder of the week for western Europe set the tone. 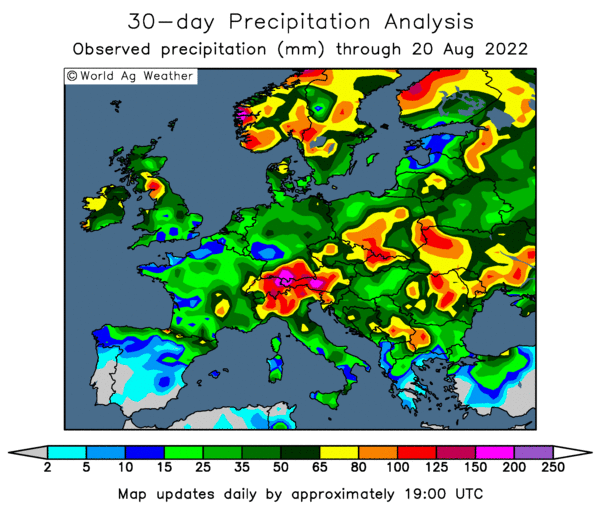 "Very low rainfall has occurred in western and northern Europe during the past 6 weeks. Warmth is keeping evaporation elevated, although wheat is holding up better than barley and rapeseed in the super-dry areas. The forecast is not hopeful for soaking rain this week either, with just a few scattered showers possible, warmth should also persist. 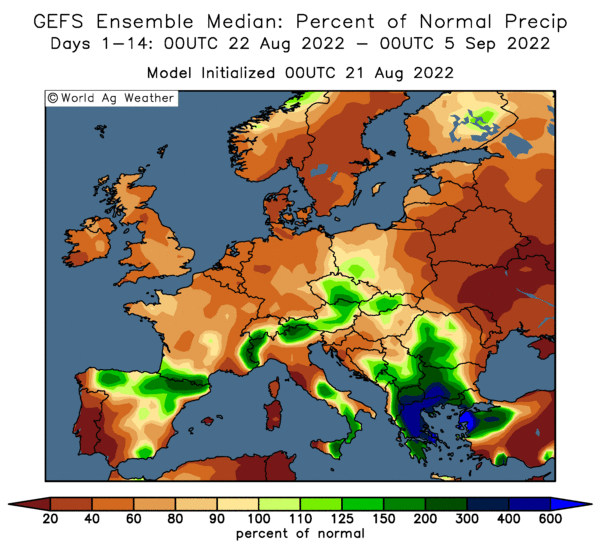 The Eastern Europe forecast is better, calling for moderate rain for Poland, Romania, Czech Republic, Slovakia and Hungary late in week," say Martell Crop Projections. Meanwhile in the US weekend rains in the top HRW wheat producing state of Kansas were a bit disappointing and further north the Northern Plains and Canadian Prairies are wet and cold preventing timely spring plantings. "North Dakota producers already anticipated a 2-week delay in fieldwork with a projected starting date April 25. That date will now be pushed back further. 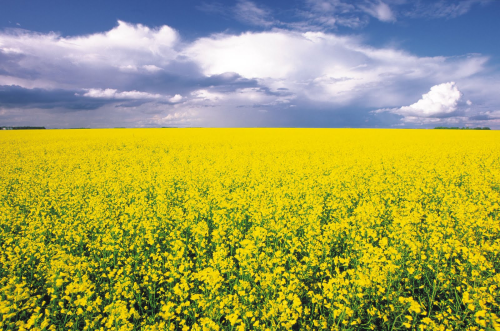 Similar wet and cold field conditions exist in Alberta, Canada's top canola province and second leading spring wheat producer," they add. 18/04/11 -- The overnight grains closed mixed, with wheat around 10-12c firmer, corn 2-3c lower and beans fractions either side of unchanged. Crude oil is down a dollar and a half and the dollar is a bit steadier. 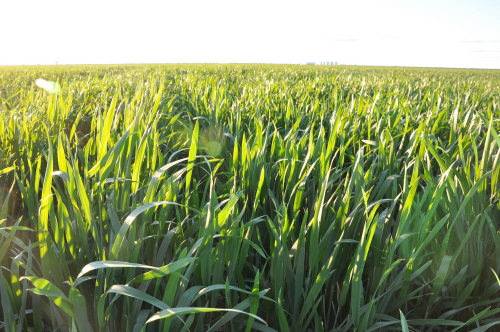 Wheat was up on lower than anticipated weekend rains in Kansas, and a growing awareness that European grain crops are starting to suffer from lack of rain too. The northern Plains and Canadian Prairies have the opposite problem. 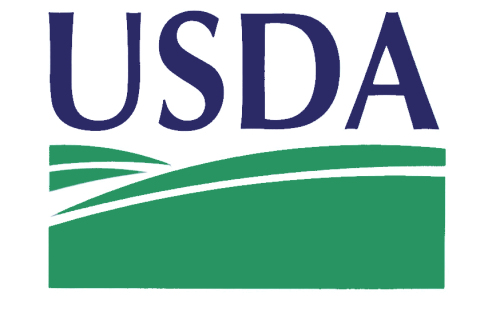 The USDA will report after the close tonight on winter wheat crop conditions and corn planting progress. Rabobank say that China will only import 53 MMT of soybeans this year, 4 MMT less than the USDA's latest prediction. The Chinese central bank increased bank reserve requirements again this weekend. Ukraine say that almost 94% of it's winter grains are in good/satisfactory condition. Russia dismiss talk of an early return to the grain export market, saying that the embargo will last until July at the least. 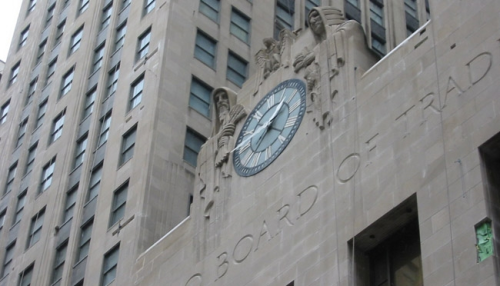 Early calls for this afternoon's CBOT session: wheat up 10-12c, corn down 2-3c old crop and up 3-5c new crop, beans mixed. 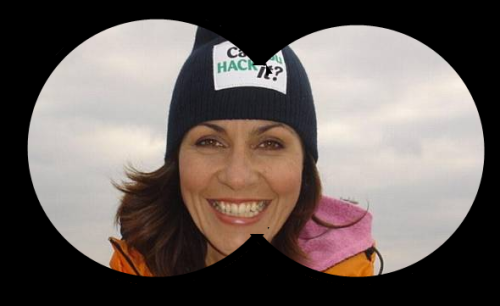 18/04/11 -- Teased mercilessly last night by MrsN#3 after she told me to be sure not to miss CountryFile as I'd get to see Julia Bradbury's Tufty. I was not expecting a feature on the UK red squirrel population, 75% of which live in Scotland apparently. They probably feel at home with their ginger brethren up there. The rest of us have to put up with their large, aggressive Septic cousin, the grey. 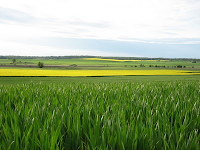 16/04/11 -- Whilst western European growers are watching the skies for rain, yet again they've got far too much of the wet stuff to crack on with spring plantings on the Canadian Prairies. My man Brad in Saskatchewan, who was amongst the first to flag up large scale flooding in the province last year, has done it again sending me footage from the air via this little YouTube video here. That was shot in the Estevan/Torquay area of SE Saskatchewan, just over the border from North Dakota. "This past fall we froze up at full saturation point and we had a fairly high amount of snow. Flooding is now predicted to exceed 100 year high marks through vast areas. Our area received up to 6 inches more wet snow last night. A very large percentage of the grid road system throughout Western Canada has flooded sections and heavy truck travel has been virtually suspended. If we have a May/June similar to last year Western Canada will be essentially unseeded. And the upper Mid West States are faring little better. Smoke that!" says Brad. I don't smoke, Brad, I'm a clean living boy who simply sups the odd pint now and again just to be sociable like. Now that we've cleared that one up the next question to which we need to know the answer to is this: Is it true that bears really do conduct their dirty business in the woods over there? Have the council provided them with no toilet facilities whatsoever? Or do they have them, but they simply chose not to use them the dirty buggers? A bit like gypsies, but without the bling. Or a caravan, obviously. Come to think of it you never see a bear in a caravan do you, why is that I wonder? They're probably too busy writing letters of complaint to the council I reckon.